Get your minds out of the gutter you filthy lot, because today I’m talking about the type of protection that should be happening during your morning styling routine – and nothing else. Did you know that around 85% of UK women use heated appliances on their hair daily (that’s hairdryers, straighteners, wands or tongs) but fewer than 15% of them actually use any form of heat protection spray during the process? Admittedly it’s not the first thing on anyone’s agenda when you’ve rolled out of bed wishing you could catch another forty winks, but it could help to keep your locks looking healthy and shiny – rather than looking dry, dull and overstyled. Our hair is made up of keratin, protein and lipids which keep the hair shaft strong and performing as it should; heat erodes the hair strand, negatively impacting the balance of these three elements and therefore making it prone to damage and difficult to style. Every time you blast your damp hair with hot hair, swipe a plate over the surface or twist strands around a wand, you’re weakening your ‘do and making it less resistant to daily brushing and styling; this can cause split ends, breakage, dullness and general difficulty getting it to do what you want it to. Unfortunately this damage can’t be repaired because hair is dead (although there are some great products and treatments that help to replenish lots moisture and minerals, restoring the look and feel of those damage strands temporarily) so in order to minimise the negative impact of your daily styling it’s wise to invest in some heat protection products. But how do these work, I hear you cry? These super clever sprays, creams and oils form a protective layer around the hair shaft, essentially forming a barrier that prevents it from being exposed to extreme temperatures. This means the heat is absorbed by the product and not the actual strand of hair, helping you to style effectively without completely knackering your look. I for one am really bad at remembering to apply a heat protection product every time (my hairdresser is always telling me off,) but I’m really trying to at least remember to apply some to damp hair when I know both the hairdryer and straighteners will be making an appearance. 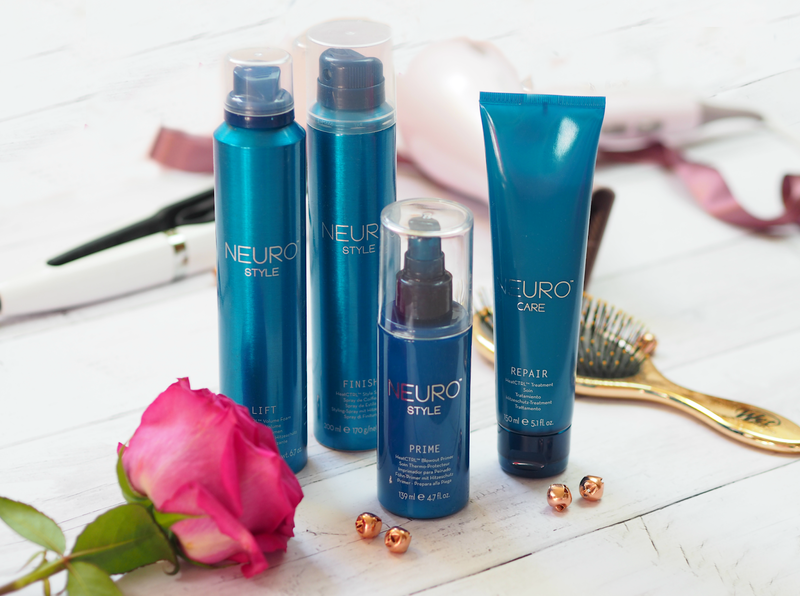 One of the things I’ve been reaching for recently (and loving how easy to integrate it is) is Neuro from Paul Mitchell, a range of specially formulated hair styling tools that are enriched with hair protection ingredients to simplify the process and leave you with luscious locks. Choose from a shampoo, conditioner and treatment which helps to protect and repair hair from the first moment you step in the shower, as well as a primer, more traditional heat protection spray, mousse and finishing spritz to protect and style simultaneously. My faves of the selection are definitely the Prime Heat CTRL Blowout Primer (which helps prevent up to 86% of damage while helping to create sleek styles,) the Lift Heat CTRL Volume Foam (which adds huge body and volume to hair, while adding definition and offering heat protection) as well as the Finish Heat CTRL Style Spray (which offers up to 8hrs of humidity resistance, delivers hold and offers advanced thermal protection too.) 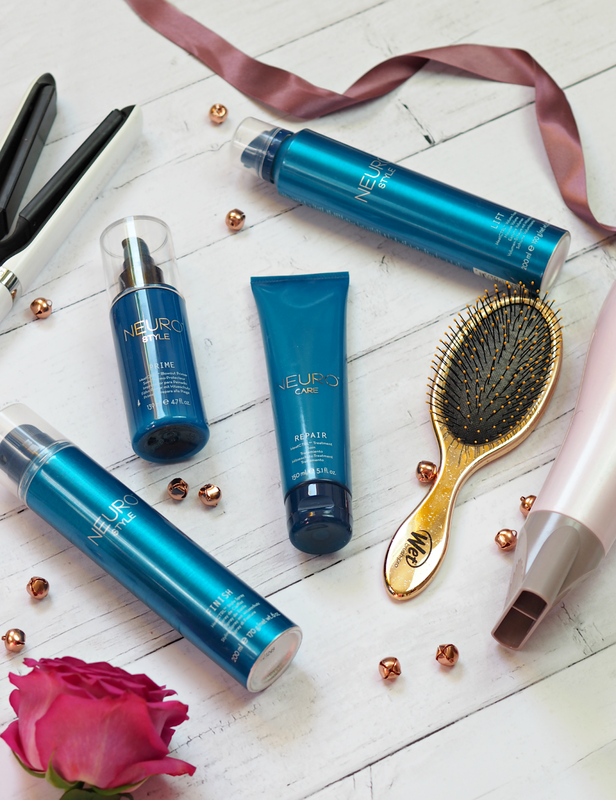 These rather uniquely offer great styling power alongside heat protection, so you don’t have to worry so much about adding yet another product into your routine. 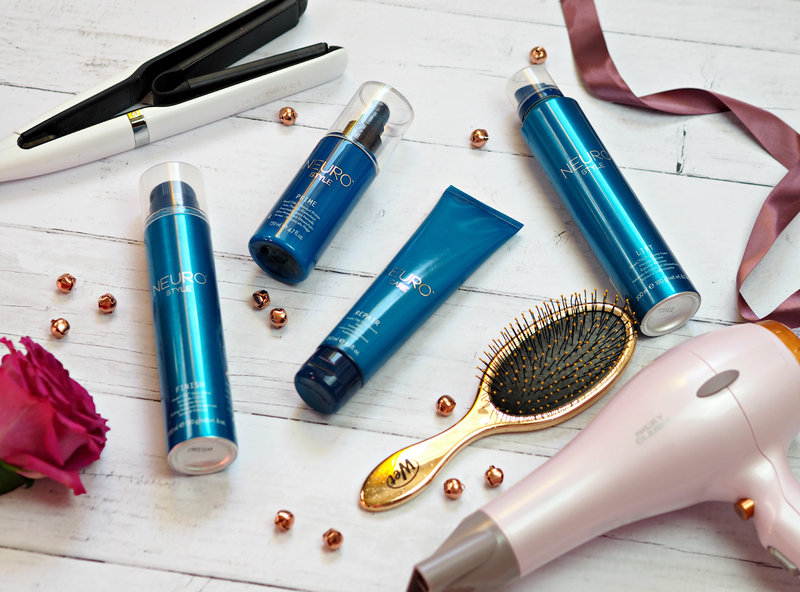 Every product in the range is a pleasure to use and leaves my hair looking and feeling great, as well as giving me the peace of mind that it’s protected from the majority of heat damage too. 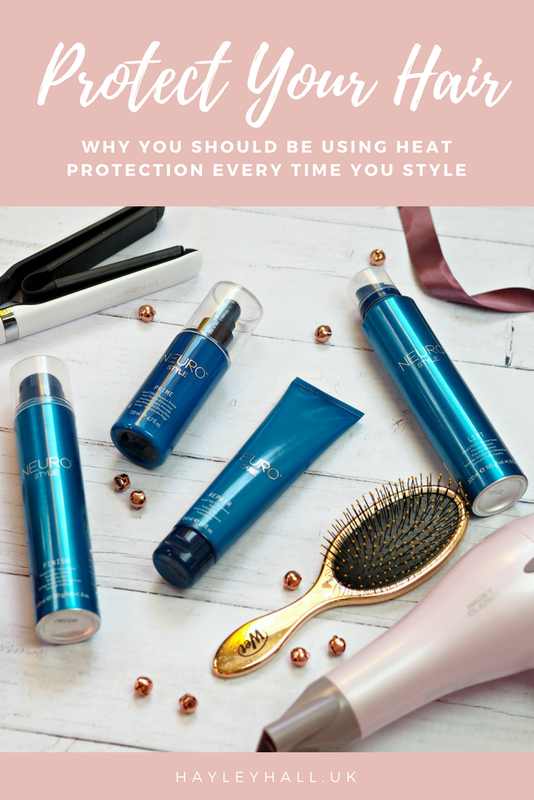 Are you careful to use heat protection every time you style, or are you in the naughty camp of forgetting (or not understanding) its importance? 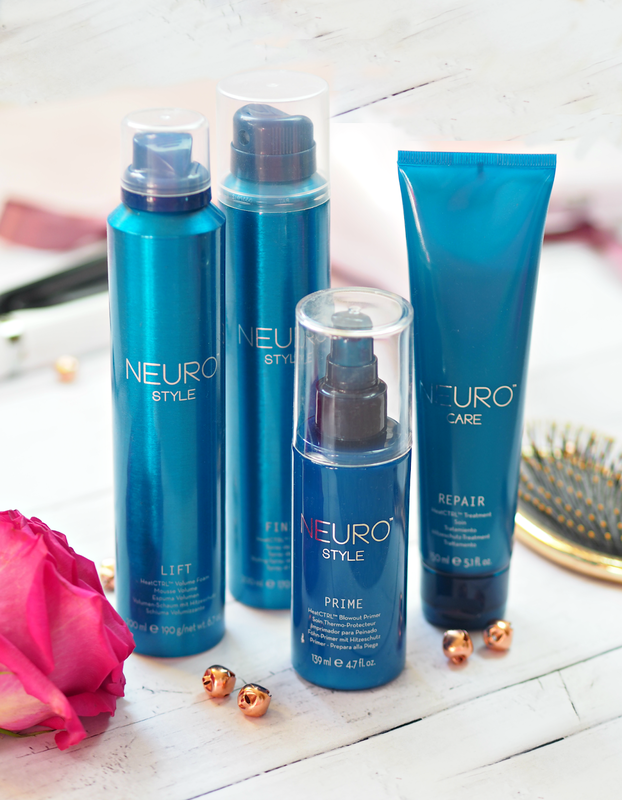 The Paul Mitchell Neuro range launches in the UK this coming May – stay tuned for more info and prices! Find out more about Neuro on their website.